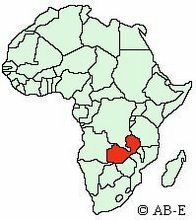 As a missionary in Zambia, my primary responsibility is to work with pastors and churches and I have spent most of my time doing that. This month alone, I will be speaking at two conferences, preaching at a church on Palm Sunday, helping with an Easter outreach, preparing for a college Bible course on Bible Study Methods and organizing a Pastoral resource library. A full schedule and I'm loving it!!! But, in my free time, I have enjoyed some fun entrepreneurial ministry with Kelly, he starts his first job on Saturday, and now Daka (pictured), a night guard at our house. He has been wanting to start a grocery business outside his house. Well, with some severance pay, and some help from Graham organizing costs and profit margin, we got him up and going last week. I took him to the wholesale market and he bought a bunch of food and household items and opened the store last week. His first day, he brought in 50,000 kwacha, (4000 is almost equal to a dollar) and the second day, 80,000 kwacha and then 90,000 kwacha and today he broke the 100,000 mark!!! We both rejoiced like little kids... I made him a sign on the computer and some flyers to pass out. I hope to check out the store tomorrow. If I do, I'll post a picture!!! Thanks for all your encouragement!